The wonderful Tom Cavanagh, who turns 53 today, is a Flash series regular with the most interesting role. Every time we see him, he's playing a different version of the same guy. He's probably played about 10 different versions of Harrison Wells and we continue to get more. Last week, Earth 2 Harrison Wells (AKA. Harry) returned to Earth 1 asking for Barry's help to train his Daughter, who recently gained Superspeed. In last night's episode our Earth 2 visitors decided to head home. 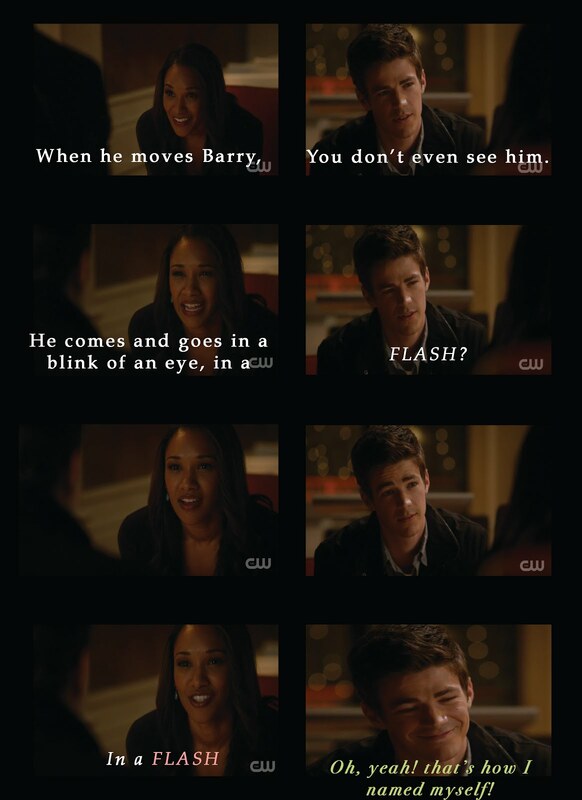 When it was first discussed, Team Flash protested saying the team isn't 100% with Harrison Wells. Harry's reply? "Then change that... 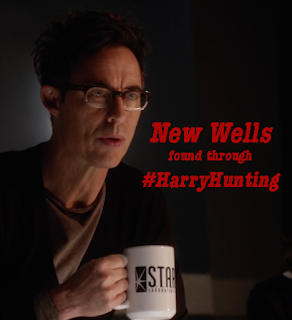 There's a whole multiverse of Harrison Wells out there at your finger tips. You want one? Let's go get one." And so the Hunt begins! My thought's went to, They're going Harry Hunting! And then I wondered where I heard that before... It didn't take long to figure it out! With the new Harry Potter cast mate on the show, that was strangely absent in the episode, I wonder if this leap was intentional or not? Also did you notice that last night's episode lacked the new CSI Julian Albert, but also Dr. Alchemy? Is that yet another connection? Number one was a disgusting, old west crouch, not worthy of the trip to Earth 1.
made them abandon this option. Number three was a no go on the fact that the guy didn't speak english and gestured like a mime. if he stays true to the good natured character. Just beware his humor, it's a little scary.